I seem to be missing some context here – what does the computation mean? You’re thinking about it too hard. 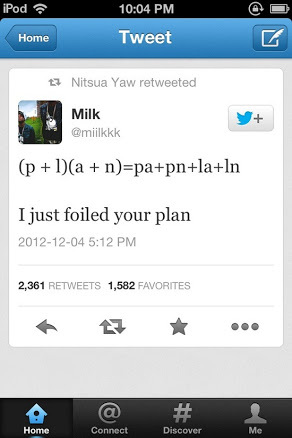 Some math teachers teach that you can expand expressions of this form by “FOIL”-ing them where FOIL stands for multiplying the First, Outside, Inside, Last, terms.